"The service man came on time and done in less then 30 minutes. Great service!" Just mention you saw our website! Includes general lubrication, overall inspection of door and opener. Parts additional. 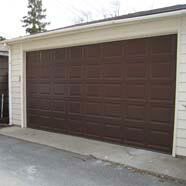 Receive $45.00 off any 2-car garage door. FREE 2nd remote with any garage door opener and install.